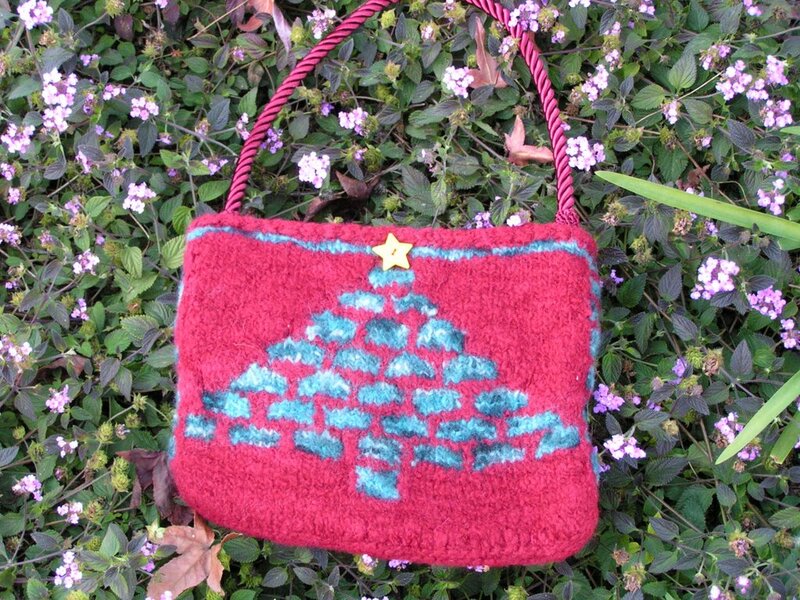 I've taken the ballband craze to another level - I made a ballband Christmas tree bag! I was looking at the holiday bag I made and suddenly saw the outline of a tree in the bands. So I sketched out a pattern and viola! 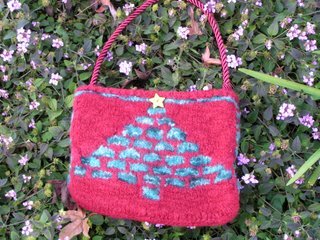 The ballband tree holiday bag. I added a little star button and actually used a drapery tie as a handle (can't believe I found one that matched). Happy Holidays to all! This bag is great!! You have taken ball band bags to a whole new level!! I'm a ball band addict...your ballband tree bag is so cute...very creative...I love it! That is wonderful, Allison. Has your mom made that one yet? I think it turned out great! That is darling. What a fun purse. You are very clever and so creative! Nice work ! I'm still trying to figure out the basic pattern ! I've Been Tagged - but Really - I'm not weird!